How do you make a vision board that works? Do vision boards really work to attract what you want? Vision board is a powerful tool that helps you to accomplish your goals. The beauty is that it is not just a board. What’s the Purpose of a Vision Board? It is a visualization tool that helps you to lock your goals in your mind and activate your emotions and the law of attraction. Whenever you look at your vision board, you start seeing yourself having or doing all the things that you put on your board. Over time, these images will go in your subconscious mind, and you will start attracting the resources you need to achieve your goals. For example, if one of your goals is to have a new car, you put a picture on your board about the car you want. Whenever you look at the picture and you imagine driving your car, it will activate your emotions and your desires which will then help you to get motivated. Once you become more positive, inspired and motivated, you will be more likely to take action to achieve your goals. These emotions will also activate the law of attraction, and you will start attracting the resources and circumstances you need. For example, you may find a new job that pays better and you can save for your car. You may get some new customers, who will get your products or services. You may even win some cash or even the car. 👉🏽 RELATED POST: What is the Law of Attraction? How Does it Work? Be open to the possibilities and don’t limit what the Universe can do for you. The Universe is always here to help us, but we need to ask first. If you write down your goals, and you put up the pictures on your vision board and visualize them, you are asking the Universe. You still need to take action towards achieving your goals. You can’t just sit on the sofa and visualize all day. Take action and surrender to the Universe to help you to speed up the process. The same principles apply to any goals – financial goals, relationship goals, holiday goals or health-related goals. The law of attraction and the Universe delivers in any area of life. You may say that all sounds good, but how do I make a perfect vision board that works? I always say, the simpler the better. We don’t need to complicate anything with a vision board. So how can you make a vision board in only 6 steps? I will show you how to physically create a vision board and what supplies you will need. It may sound obvious, but you need to know what you want before you start creating a vision board. Do you have clear, written, measurable goals? If you have no written goals, this is where you need to start. Grab a notebook and write down what you want to achieve in the next 12 months. Write down the exact date as well. When do you want to achieve your goal by? For example, you could say “I want to lose 10 kg by 26th September 2018 at 3 pm.” This is a measurable goal because you say how much you want to lose and by when. In order to visualize your goals, you need to know what you really want. Don’t limit yourself when you set your goals. Ask yourself – If you could do anything, what would you do? What would you have? Who would you become? You will start expanding your belief system and what is possible for you when you no longer limit yourself. If you don’t believe in your dreams, if you don’t believe that something you want is achievable for you, then you most certainly won’t achieve it. Your vision board will be effective if you are clear about what you want before you start creating a vision board. Do you have any old magazines sitting at the bottom of the drawer? Good job you haven’t chucked them out. Before you do your spring clean, use these magazines to create your vision board. Go through the pages and have a look if you can find any nice pictures that support your goals. For example, if your goal is to renovate your kitchen, let’s see if you can find pictures of beautifully styled kitchens. If your goal was to lose 10kg, maybe you can find a picture of a person who has the shape that you want. You can change the face of the person by cutting out a picture of yourself. If you don’t have any magazines at home, don’t worry too much. First ask your friends, family or neighbors if they have any that they don’t need anymore. If they have, that’s great. But if they don’t have any, there are still other solutions. You can look around on Ebay, at a garage sale or a flea market, depending on where you are. Another option is to use the internet and print out pictures that you find. You can be very specific with your pictures here because you can find almost everything online. You can find the specific car, kitchen or holiday you’re dreaming about. Find a few hours per evening or weekend to create your vision board. Put some nice music on, grab a pair of scissors and start cutting out the pictures from the magazines or from your prints. Are you happy and are you smiling? This is the picture you should go for. When you find a picture and you say “Yes“, that’s the one. Don’t put up with pictures that just makes you feel “Mehhhh”. That won’t be any good for your vision board. Be selective, but don’t worry if you can’t find a picture of your perfect car or your perfect dream house or your perfect relationship. Maybe a picture of an ideal scene will be enough to inspire you. Maybe a picture that portrays love, or a couple hugging or just a heart will be perfect. The main point is how the picture makes you feel rather than the picture itself. Your vision board can be a simple big cardboard, a cork board, a large piece of paper or a notebook. It’s up to you what you use; the magic is in using it. You need to use it in order to make it work. So you have cut out your pictures, the next thing is to fix them on your vision board in a way that looks nice. You can use glue, tape or blue tack, it really depends what vision board you use. One more detail to keep in mind, don’t clutter your board. Keep it simple and don’t make it look overwhelming. I understand that material things are at the center of our attention when we set our goals because we live in a material world. But, your ideal life and your vision board shouldn’t be just about material stuff. Think about how you want to feel in your ideal life as well. Once you know how you want to feel, create your words that describe this, such as: “peaceful”, “loved”, “abundant”, “committed”, “healthy”, “happy”, “courageous”, etc. If you find your words in the magazines, you can cut them out but you can write them yourself as well and put them on your vision board. The success of your vision board lies in the “using” your vision board. 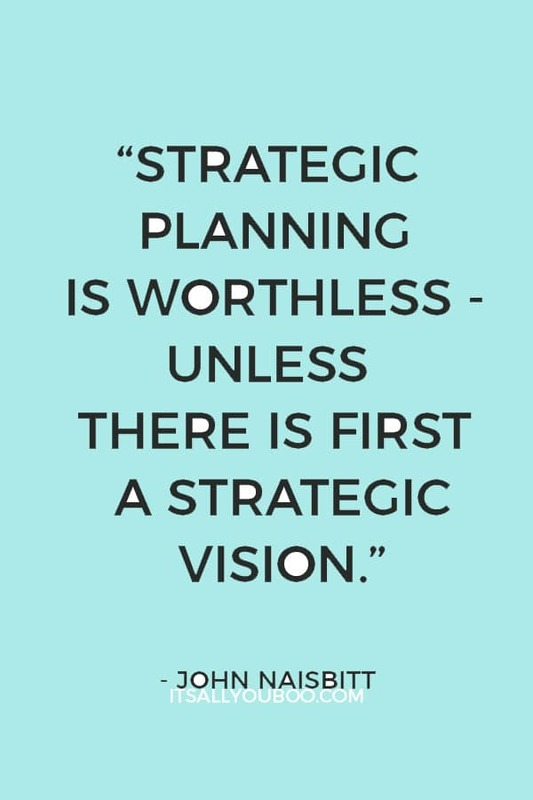 If you created your beautiful vision board but you never use it, it is not going to work. Put it somewhere you can use it every day. At least once or twice a day take a few minutes to look at it and visualize whatever you have already put on it. There are two “best times” in a day to use your vision board – in the morning after you wake up, and before you go to bed. Visualize your goals during your first cup of coffee, so your day will start by focusing on your goals. Before you go to bed get your vision board out again so your subconscious mind can work on your goals while you are sleeping. 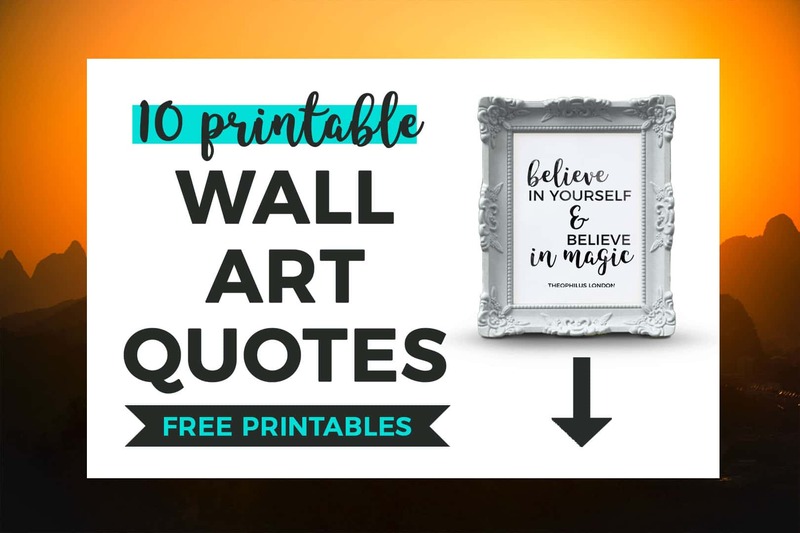 Create your vision board that works, with these beautifully designed printable quotes. Each design features brushed ink letter detailing and are the perfect addition to any vision board. This download comes with 10 high-resolution, graphic quotes ready to be printed and displayed. 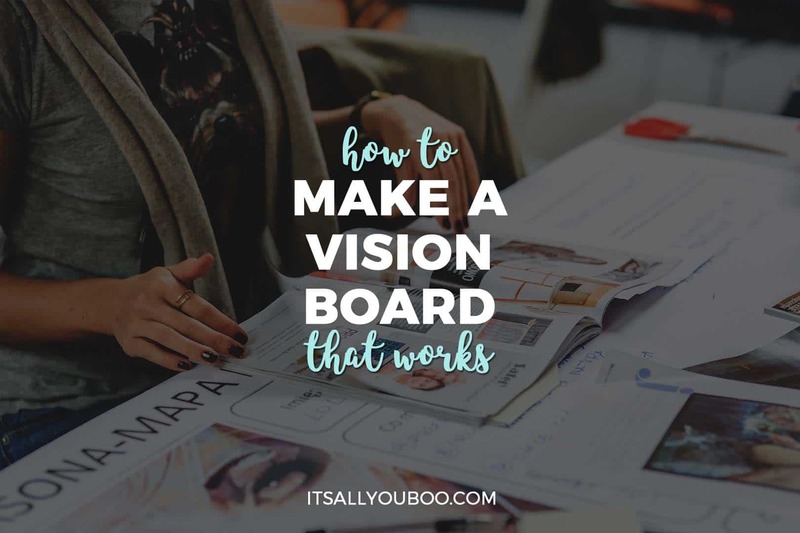 If you want a bit of inspiration or if you need more vision board ideas, read my success story detailing how I created a vision board for my goals and managed to manifest my dreams. I am looking forward to hearing YOUR success stories! 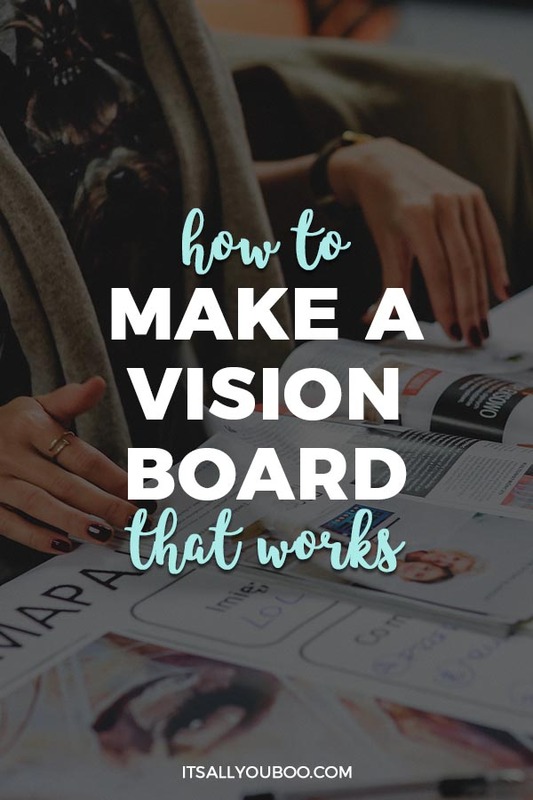 Have you made a vision board that works? 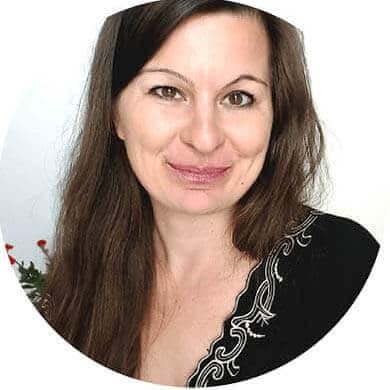 Ester Lindsey is an Intuitive Empath Life Coach, a Certified Success Trainer, and a Certified Mindfulness Trainer. She holds a BA degree in Social Education and Cultural Management. Her spiritual awakening happened during the dark night of the soul after completing the “karmic return”. She saw her past-life, as well as the Universe and other entities. She is passionate about spirituality, utilizing the Law Of Attraction, holistic healing and living on a daily basis. I’ve never made a vision board before but I’ve thought about doing it. This gives me some clear step by step instructions and reasons to make that happen! Thanks! I love making vision boards!! And love making collages in general for all sort of things. I think it’s really important that we have an idea what we want from it when we start making it, in other way it doesn’t really have a point. I would love to make a vision board. I made a mood board awhile ago. I used glossy magazines. I always love visiting your site. I have had a vision board on my to do list for ages. Getting my act together and making one with your tips! I’m currently working on my 2019 vision board. These pointers will come in handy! 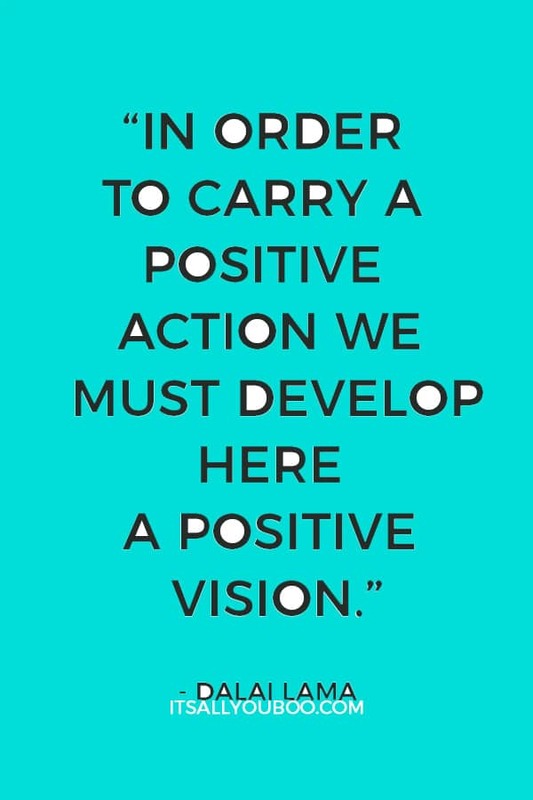 These are great things to keep in mind when you’re working on a vision board. I try to create one every year for motivation. 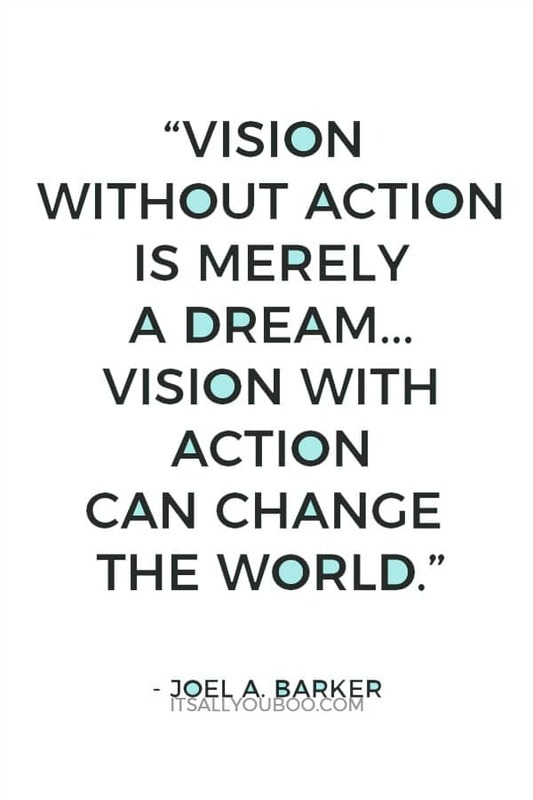 Vision board is a new concept for me but from your article I can imagine the power of this tool in helping reaching goals. Hi Jubilee, Great to hear the positive effect of the positive affirmations on your life! You’re so right, Pinterest does play a huge part in vision board making. I’ve got so many Pinterest “vision” boards. I do like having a physical one to focus on too though. I really need to start doing a vision board. I get so frustrated when my visions don’t play out like I planned in my head and I think creating a board will help the creative juices flow! I so recommend taking time to create a vision board. It’s so relaxing and a fresh way to approach our goals. I love the idea of making a vision board and adding to it. I’m creating one for my office wall, can’t wait to see it grow! Making a vision board seems so motivating to achieve your goals in itself. And it seems fun ! 😀 I might make one in my spare time. I so recommend you taking the time to make a vision board! At the very least it’s quite relaxing and fun to cut out old magazines and you just feel so inspired and hopeful when you’re done. I have seen some absolutely inspiring vision boards. I’ve never had the time to make one for myself. Thanks for sharing these steps. I think now that I have a roadmap I might just give it a try. Me too! I think it’s worth taking the time – think of it as an investment in your future. A lot easier to get where you’re going, when you’ve visualized where that is. I used to have a vision board, but I misplaced it during my recent house move. This is a great timely reminder to get another vision board set up again. I love your step-by-step guide as it’s helpful and practical. Oh no! It’s such a perfect time to create a vision board. Glad you’re enjoying the steps, I’ve used them myself and can attest that they do indeed work. Happy vision board making! It’s so one of those things we all think about doing, but rarely find the time for. It’s worth it to set some time aside for yourself to reflect and create this visual representation of your dreams and goals. Wow! Such a detailed post full of amazing info! Thanks so much for sharing your knowledge! Glad you enjoyed this post on creating vision boards. You should take the time to make a vision board. I promise you’ll enjoy the experience and have increased focus. Nothing like having a peek at it to feel inspired! I love these tips. All really good things to keep in mind when setting up a vision board. Your dreams have to start to become reality at some point and a vision board is the best place to start. So glad you’re enjoying this amazing guest post on creating a vision board. You’re so right – once we believe it, and sometimes seeing it on paper, in front of our eyes helps it become reality. Vision boards are great for any time of the year. I know for myself, things can change just a few months in, we need to constantly reflect as our vision gets clear. What I love about creating a vision board is that it really helps focus my goals and the motivation I need to reach them. I loved your tip on adding inspirational words, they are necessary when things start feeling rocky and I need a reminder of what I can reach. I’m planning on making a vision board this weekend, so thanks so much for the guidance! I so agree with you. I so enjoy the process of making a vision board. It’s nice to make a ritual out of it, put on inspiring music, get some magazines and just be creative. Almost like when we were kids. I am ready to make another vision board. My life and goals have changed quite a big and it is time to express it in pictures, words and other creative things. Great article and thanks for reminding me to take time for this!